Noah Blake is a trained killer. Nothing else exists for him now. He’s part of a team of elite operatives from different fields and different countries. Sabella Malone is a widow and she’s in big trouble by homeland terrorists. She doesn’t know that though, she’s just trying to move on with her life. She desperately still loves and misses her husband. He is the love of her life. This story wraps up the Tempting SEALs series and spawns the Elite Ops series. Noah goes into protect Bella and gather information regarding the terrorist cell. Their attraction is blistering and so heartfelt. They both deal with their issues regarding the past. Characters from the Tempting SEAL series return and help the Elite Op characters. The best of both worlds in my opinion. 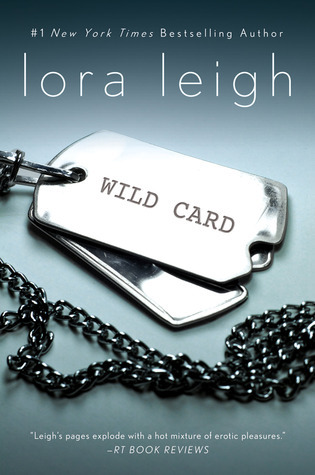 This is the absolute best novel by Lora Leigh. She hit her stride with this story. I felt every emotion while reading this book. This a tremendous story of second chances for a couple that deserves and needs it. It is also about forgiveness, acceptance, self-redemption and most importantly love. When I finished this novel, my heart was full. 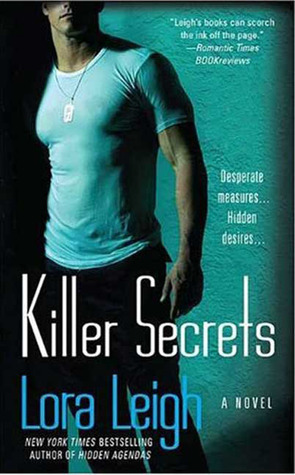 This novella is the story and wrap up to the Tempting SEALs series and spins off Leigh’s Black Ops series. It is also the story of my personal favorite, Mason “Macey” March and Emerson Delaney. It starts with a blistering scene is the Admiral’s study at a party and from there it never slows down. Emerson has lusted after Macey for years but knows he is the love ’em and leave ’em type, so therefore not for her. Macey has lusted after Emerson for the same amount of time but waited until he felt the time was right. These two characters just delighted me to no end. My only complaint was it was too short and ended one of my favorite series of all time. Ian Richards is now going by his father’s last name of Fuentes. He made a deal with his father that I don’t want to tell about, but suffice it to say, it was a doozy. Ian moved in with his father and is helping him run his cartel. Quite a change for a former SEAL. His former teammates are stunned, his mother and stepfather also. No one can believe he’s a traitor, especially not Kira Porter, who shared an encounter with Ian in Hidden Agendas. Kira Porter is down in Central America to see for herself about Ian. She basically bulldozes and schemes her way into Ian’s life. Never mind that he tries to push her away. Kira is a force to be reckoned with. She’s a double agent kind of girl. She wants Ian and he better be accepting of it. Kira made me laugh with her antics. Ian made me smile with his alpha tendencies. This pair was made for each other. The suspense of whether Ian is guilty or not is definitely in question, but I’m not telling. You’ll have to read the blazing love story for yourself.